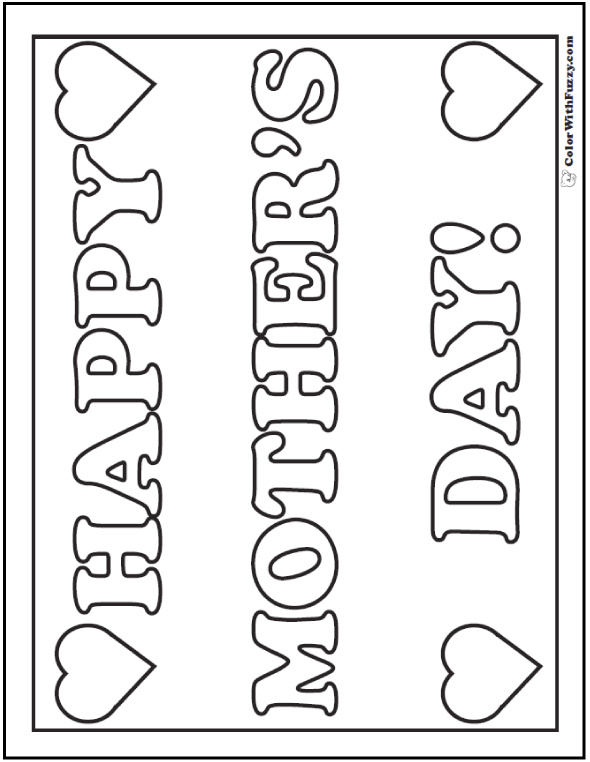 Use one of my hearts Mother's Day coloring pages to make a poster to tell Mom to have a happy day! This PDF prints to 8.5x11 inch paper. Make a poster for Mom to tell her happy Mother's Day!